On all Young Earth Tours we look at history and scientific evidence and promote discussion between a young earth and a million years old theory. Most evenings will be spent in discussion. No theory is forced on you and you will be free to decide, based on the evidence. Our primary purpose is to have fun and take home a memorable experience. All Tours are done in air-conditioned vehicles, with permits and passenger liability. English, registered and THETA accredited or similar tour guides. Other languages and specialities can be arranged on request. Discounted rates for groups of four or more passengers and on combination tours. 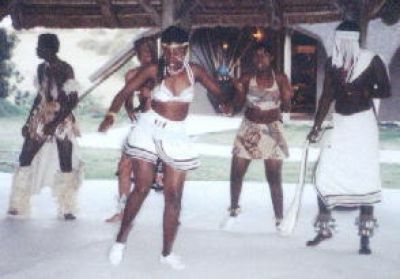 Custom made tours organised anywhere in South Africa with National registered tour guides. A certain portion of the tour price is put in trust to educate and create work opportunities for the disadvantaged. We try to offer a little more than just the expected on our tours. All of the prices quoted are per person with a minimum of 2 persons per tour. Prices may be changed without notice. Please check all prices prior to booking. Day 1 starts at 9am with a drive through Uitenhage, into the Klein (Small) Karoo which was an inland sea many years ago. Our destination - Steytlerville. Lunch is enjoyed along the banks of the river with the Cape folded mountains dwarfing us. These impressive mountains bear testimony to the great forces that formed our continents.The evening is spent in the local hotel where we will enjoy a homegrown theatre production and a grand dinner. We stay over on a working Karoo sheep farm. Day 2 after a hearty farm breakfast, we travel from Steytlerville to the renowned town of Graaff-Reinet. The day will be spent in the Valley of Desolation and the Karoo Game Park. The Valley of Destination is an impressive display of the forces of nature and we have a look at how this region changed over the years. After a light lunch (for your account) we take a tour of the town, then it is a short drive to Nieu-Bethesda where we will do a walking tour of the town, visit Helen Martin’s Owl House, visit a cheese factory and some local artists. One of the interesting sights are the fossils in the riverbed and we have a look at how these animals were entombed in the mud and what secrets do they have to tell. We overnight in Nieu-Bethesda and enjoy a traditional meal under the vibrant stars of the Karoo sky. Day 3 is up early to a sumptuous breakfast and then we have a final tour around Nieu-Bethesda taking all that we could not do the day before. Then it is off to the Mountain Zebra National Park. The route bears testimony to what happened in this region and the scenery is magnificent. 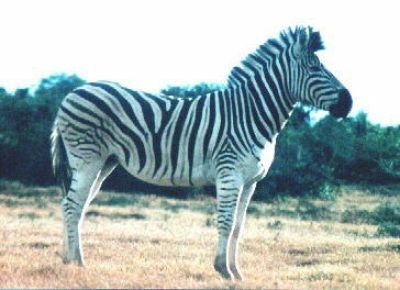 The unique Mountain Zebra Park is home to the endangered Mountain Zebra, giant earthworms and many antelope. 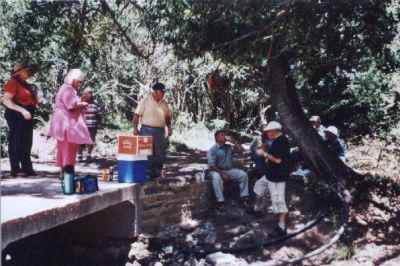 A light lunch (for your account) is enjoyed in the park and then we travel to Cradock where we will overnight. At dinner we will be entertained by a local artist/s. Day 4 We start the day with a tour of Cradock, including Olive Schriener’s House and a few churches and Museums. Lunch will be for your own account and then we will join a local tourist guide who will take us into the township and we will hear stories of the Cradock 4 and what life was like in the township, pre and post apartheid. Before leaving we will take a turn into the veld to Egg Rock, an incredible geological phenominum. We enjoy a second night in Cradock and after dinner we take a nightly tour of the graveyard to visit the ghosts of the past. Day 5 will see us up early and off to the Addo Elephant National Park where we will interact as closely and with as many elephants as possible. Lunch is enjoyed in the park and as the day closes we head back to Port Elizabeth arriving around 4-30pm. The price includes the pick up and drop off at your accommodation, game drives, all entrance fees, ten meals and four nights 3 star accommodation. Day 1 is off to see the fantastic success story of the Addo Elephant National Park. 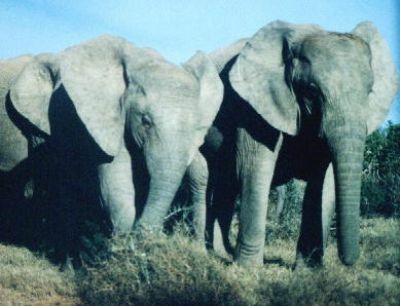 Here we will try and interact closely with as many elephants as possible. Lunch is enjoyed in the park and then we transfer across to Schotia. Apart from all the game this park is renowned for, it’s lion population, which roam free and hunt for themselves is really the main attraction. 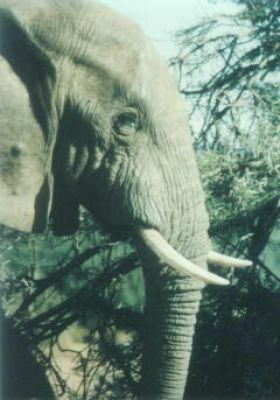 The close up encounter with the king of beasts is not for the faint hearted. You will have an afternoon drive, cocktails with the lions and an evening drive. Dinner is served in the boma under the African stars and around the campfires. Day 2 before breakfast we take a game walk/drive at Schotia and then after breakfast we take to the road to Cradock. We will tour the town of Cradock, including Olive Schriener’s House, a few churches and Museums. Lunch will be for your own account and then we will join a local tourist guide who will take us into the township and we will hear stories of the Cradock 4 and what life was like in the township, pre and post apartheid. 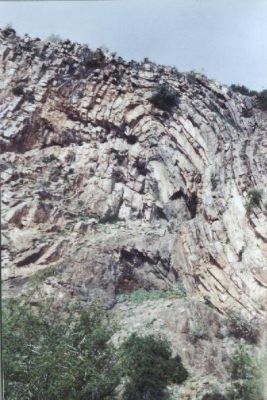 Before leaving we will take a turn into the veld to Egg Rock, an incredible geological phenominum. We will overnight in Cradock and after a delicious dinner we will be entertained by a local artist/s. For those that can handle it we will do a late night tour of the graveyard. Day 3 sees us start our journey further into the interior through Cradock and on to the Mountain Zebra Park. This unique mountain park is home to the endangered Mountain Zebra, giant earthworms and many antelope. A light lunch is enjoyed in the park and then we are off to Nieu-Bethesda. The route bears testimony to what happened in this region and the scenery is magnificent. We will do a walking tour of the town, Nieu-Bethesda, and visit Helen Martin’s Owl House. We overnight in Nieu-Bethesda and enjoy a traditional meal under the vibrant stars of the Karoo sky. Day 4 starts off lazily with a sumptuous breakfast and a short drive to Graaff-Reinet. Enjoy an early walk in this quaint town or relax. The rest of the day will be spent in the Valley of Desolation, the Karoo Game Park and after a light lunch a tour of the town. The Valley of Destination is an impressive display of the forces of nature and we have a look at how this region changed over the years. Then it is off to Port Elizabeth via Uitenhage, arriving around 4-30pm. The price includes the pick up and drop off at your accommodation, game drives, all entarnce fees, ten meals, drinks and snacks and three nights 3 star accommodation. Day 1 starts at 9am with a drive through Uitenhage, the Karoo and on to Graaff-Reinet. 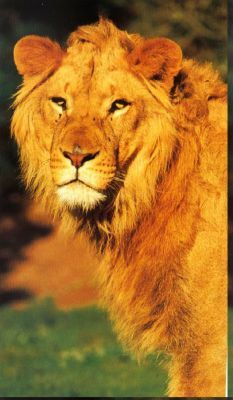 The day will be spent in the Valley of Desolation, the Karoo Game Park and after a light lunch a tour of the town. The Valley of Destination is an impressive display of the forces of nature and we have a look at how this region changed over the years. Then it is a short drive to Nieu-Bethesda. The route bears testimony to what happened in this region and the scenery is magnificent. We will do a walking tour of the town, Nieu-Bethesda, and visit Helen Martin’s Owl House. We overnight in Nieu-Bethesda and enjoy a traditional meal under the vibrant stars of the Karoo sky. Day 2 is up early to a sumptuous breakfast and off to the Mountain Zebra National Park. 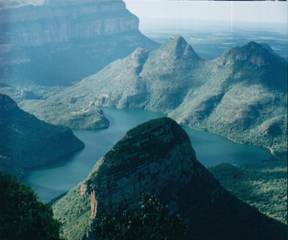 This unique mountain park is home to the endangered Mountain Zebra, giant earthworms and many antelope. A light lunch is enjoyed in the park and then off to Cradock where where we will tour the town, including Olive Schriener’s House a few churches and Museums. We will overnight in Cradock and after a delicious dinner we will be entertained by a local artist/s. For those that can handle it we will do a late night tour of the graveyard. Day 3 sees us travel to the Addo Elephant National Park where we will interact as closely and with as many elephants as possible. Lunch is enjoyed in the park and as the day closes we head back to Port Elizabeth arriving around 4-30pm. The price includes the pick up and drop off at your accommodation, game drives, all entrance fees, six meals and two nights 3 star accommodation. 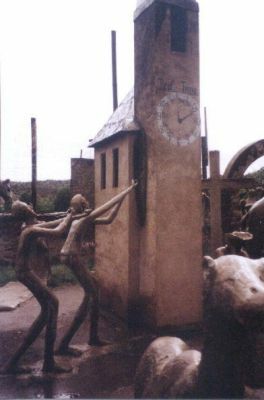 Day 1 starts at 9 am takes us through the city of Port Elizabeth as we learn about the early Khoi and settler history, South End and the forced evictions of the apartheid era, Red location, the Townships and all the cultural history of the area. We drive through Jeffrey’s Bay and onto Hankey where we stop to visit the grave of Sarah Baartman, a Khoi woman who was taken from the African soil, degraded in Europe and her victorious final return to her roots. 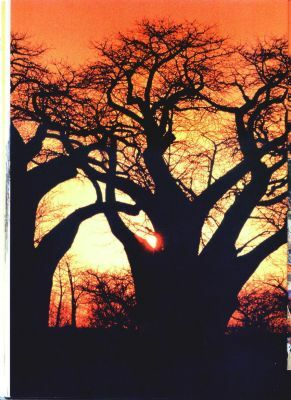 Lunch is in the quaint town of Patensie where we visit the most southern Baobab Tree. 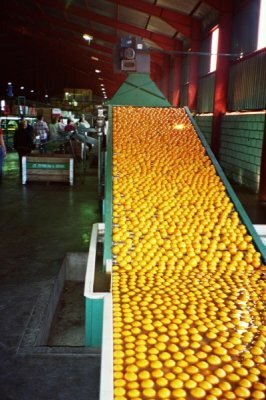 The afternoon sees us visiting an orange packing plant or a potato farm or some other similar experience. We then drive to our tented camp deep in the valley. While dinner is prepared we take off in 4X4 vehicles and climb the mountain to enjoy cocktails at the highest point. 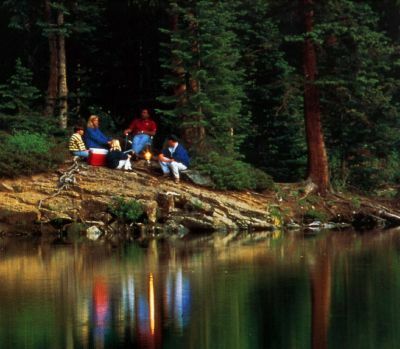 Dinner is served around the campfire and when the eyes start to droop you climb into your luxury tents with the sound of the river trickling past. Day 2 is up early to the smell of bacon and eggs. Once our stomachs are full we are off to see the unique Kouga Dam, the profile of Queen Victoria, the Phillips water tunnel and then a stop over for lunch. Before we leave the beautiful valley we stop over to see the Tobacco Co-Op and then wind our way along the back roads to Loerie and the flower reserve arriving in Port Elizabeth around 4-30 pm. The price includes the pick up and drop off at your accommodation, all entrance fees, four meals, drinks and snacks and one nights 3 star accommodation. Trips through the Baviaanskloof can be arranged and normally take a minimum of 4 days and three nights. 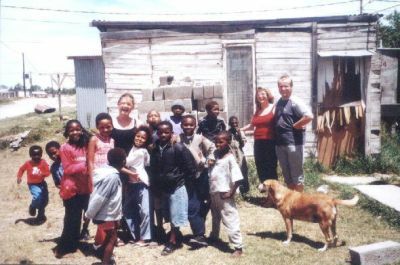 Settler Country (Grahamstown, Bathurst and Port Alfred), Battlefields, One, two and three day hikes, Adventure trips, Eco and Cultural Tours, City and Township Tours, Parasailing, Diving and diving courses, Surfing and Sandboarding, Helicopter and jet flights, Microlight flights, Quad biking, Canoe Trails, All game parks. Budget, Backpackers, 3 Star, 5 Star or outrageously priced packages available. We can organise just about anything! All you have to do is ask!